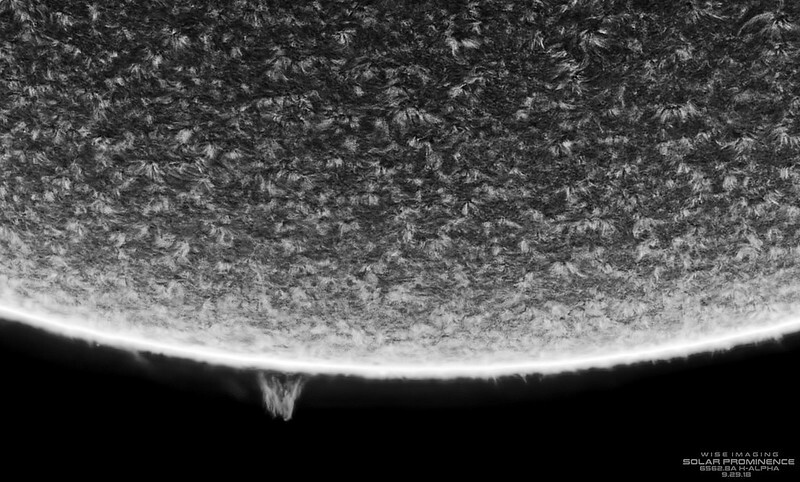 Today's Prominences & New Active Region with Looping Filaments! 120mm HA, Sept 29th 2018 - SolarChat! 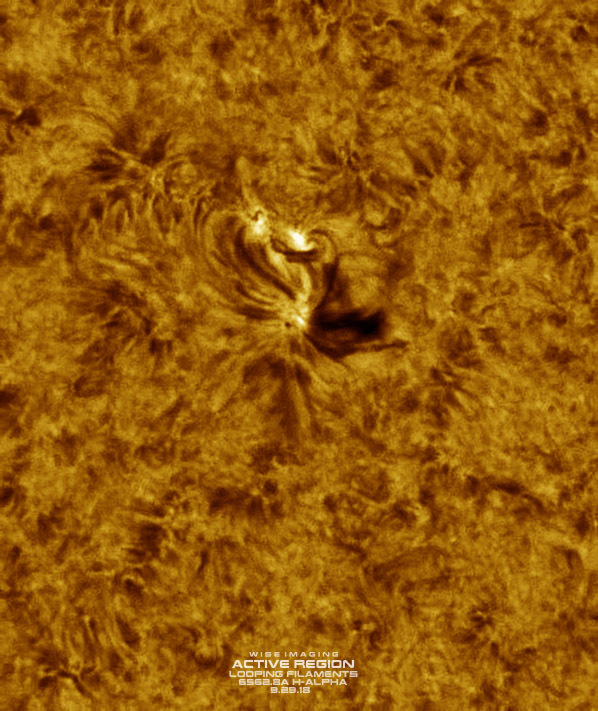 A great prom has developed on the limb, and a little active region with some flaring has woken up since yesterday and it has two small visible umbra with a filament near it, the filament(s) are looping or spiraling, quite interesting, with flaring around it, quite nice to look at in higher resolution. Hopefully it will quickly develop into a full blown spot with a numerical designation. I grabbed a few frames of data over 30 minutes and managed an animation to show the very fast dynamic movement of the filament. A great set, including the animation. Thank you for this first view of the new small active area. Great images Marty, congrats on the SPoD! 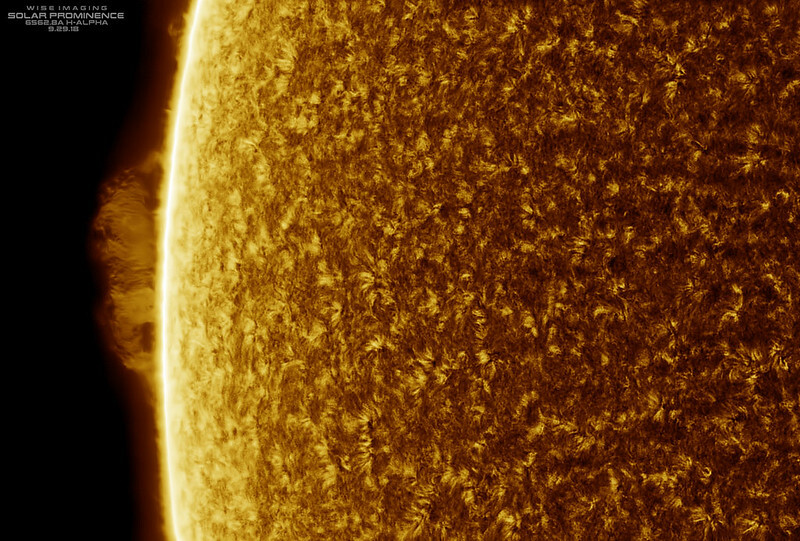 Hopefully AR2723 is more interesting today!